What you need to know before considering to adopt a Greyhound and the next steps to adoption. 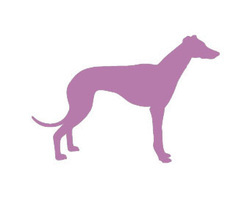 Greyhounds 4U is a UK-based voluntary organisation dedicated to the work of rescuing and homing retired greyhounds. These are greyhounds that have finished racing, or have declined to race. Retired greyhounds make wonderful and unique pets yet often find themselves unwanted, and without a home. We are a British independent greyhound rescue and rehoming organisation and were established in 1999. We receive no funding from the racing industry, relying solely on donations and fundraising. We home British and Irish ex-racing greyhounds as pets to people who live in the Southern Counties of England. We specialise in natural healthcare and feeding, many of the homing team are qualified in alternative therapies. Our priority is the long term care and wellbeing of our retired racers and as such every greyhound adoption is subject to a successful home check. The only exception to the home check rule is if you have already adopted one greyhound through us and are returning for a second, third or fourth greyhound pet. It has been known! However, if you have moved house since the first greyhound adoption we reserve the right to home check your new premises.